Myopic Studios - What Will Your Legend Be? Six months ago, we founded Myopic Studios. Join us to see what happens next. 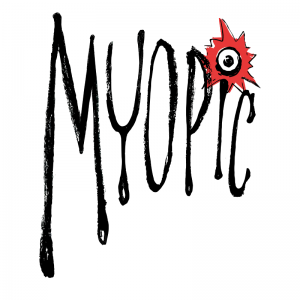 At Myopic Studios, our one goal is to create badass games! We want to progress past the constraints of simple mechanics and welcome a broader audience by developing board games in a shared universe. Myopic Studios combines over half a century of game industry experience, to create innovative mechanics that are easy to learn but hard to master. Wow! We got something here. This is fun. This is really fun! This has legs. We are Artists and Writers, Businessmen, Designers, and PR Professionals who’ve come together to build something new. Our games will span across multiple titles and platforms to form an engrossing, multifaceted universe that can serve as the backdrop for any story or experience.